Square has more ambition than to be a competitor to Venmo and Paypal. It wants to be your bank. BTW, I have a Cash App account, and I use it to budget for discretionary expenses. “Anything you do today with a bank account, you should look to Cash App to begin to emulate more and more of that,” says Square CFO Sarah Friar. I heard about Bank Simple last fall. The website is a simple, stripped-down site that lets you bank. This fall, BankSimple plans to serve an initial 10,000 customers, giving members a single card that functions like a debit card, while being linked to a small credit line. Customers can get cash from 50,000 ATMs in small banks, stores, etc. throughout the U.S. Through this is an Internet-only bank with no branches, its goal is for customers to be able to set financial goals and to establish another means to have a bank, without being in its traditional form. 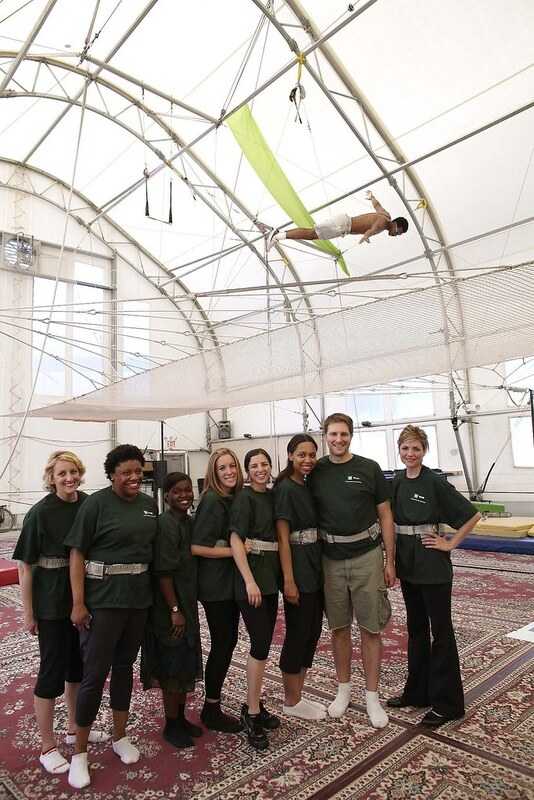 Last week I went to the Trapeze School on way west 30th Street for the TD Bank Flip Campaign Event. TD Bank is running a promotion to entice new customers and/or new checking accounts whereas they will give Flip video cameras while supplies last. From now until June 5th, you will be eligible to get a Flip Camera. Once you open your checking account, you must use your Debit Card for eight purchases and make two payments with Online Bill Pay within 45 days of account opening, to receive a brand new Flip. I have a fear of heights, unsteady heights in particular so I knew this would be a challenge for me to fly into the air. I looked at the height of the ladder and the netting and realized that I didn’t feel like having a panic attack so I didn’t do trapeze. I jumped on trampoline a little, but even that was a little uneasy for me. Nevertheless, I had a great time hanging with other bloggers. This promotion is a great idea to kick off summer, because you can get Flip to capture all the fun of summer. In fact, if you already have a main checking account, you can use this new account as the “summer fun” account which will enable you to keep track of all the money you spend on things like travel, beachwear or ice cream. This is easy way to budget fun. You can follow TD Bank on Twitter at Ask_TDBank. Now is the time to track deductions for next year. Jenn Escalona tells you how. Lighten your wallet and save money. Use Cardstar app (iPhone, Blackberry) to enter all your loyalty and reward cards. If you are buying a car soon, then check out True Car which is a new car pricing research site. Let Ally be one of your allies in the fight to save money. I just set up a savings account today, and it took only five minutes. Bank of America is rolling out text banking. Tax deadline is this Thursday, April 15. File Later if you have to. If you need help with your filing, Simplfi has some tips on how to double your tax refund. Finovate Spring Conference is May 11 in San Francisco. Invoice Bubble is a new online invoicing tool which is good for freelancers and small businesses.